If you checked my review of The Context you may recognize the sample Od loops on Let Me Breathe; his smooth vocal selection setting an emotive backdrop for Mizery’s honest rhymes to begin a double dosage of highlights as he immediately follows with his finest performance lyrically. Words flow laced with venom as Odweeyne’s ear for smooth soul vocals makes for buoyant instrumentals on Royal Flush, with a feel-good quality that amplifies tenfold when KRS-1 cuts are placed on the track’s boom-bap foundations. 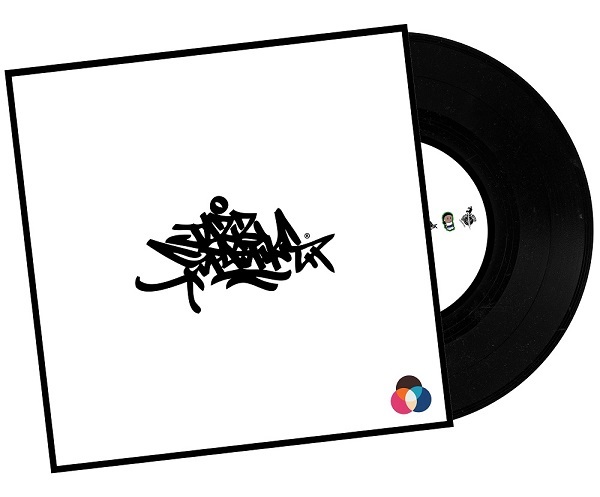 Smiling At The Rain switches up the styles with wooden, organic sounds that knock with that surreptitious ninja-assassin swagger that RZA pioneered on his ASR10; before sweeping vocal hums undulate under drums with a laidback swing on Sticky Bomb. Closing track They Ain’t Saying finds Mizery berating the mentally dead, zombified mindstate that allows injustice to take place; wrapping up this dope EP as insightfully as he begun. 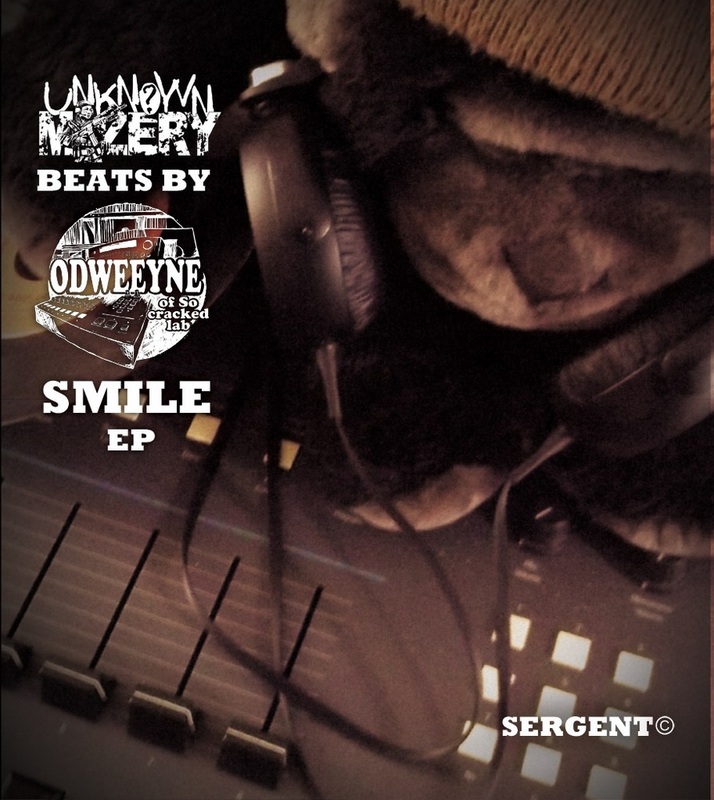 His commanding use of language to promote thought is commendable; blessing Odweeyne’s consistently solid production throughout to make this collab a must-have for fans of the classic Hip Hop sound. Listen to song snippets here, and buy one of the 200 copies pressed to wax here. After years of patchy information on Stones Throw’s often publicity-shy artists, the new documentary from Jeff Broadway does an impressive job of de-mystifying the L.A-based label’s most enigmatic personalities. 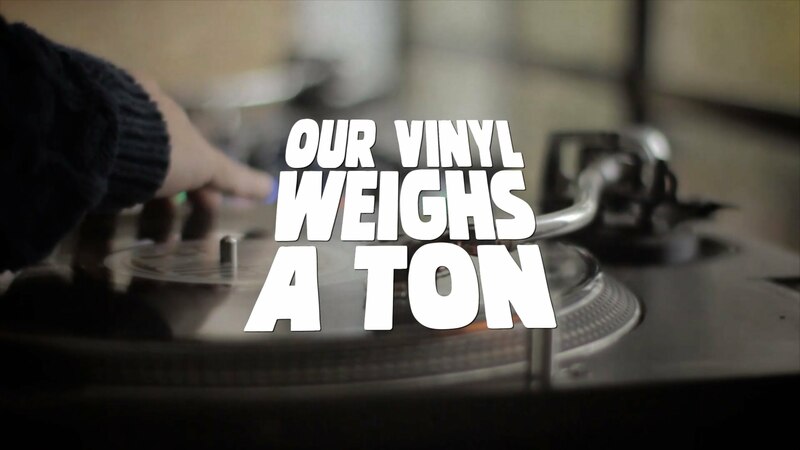 Using archival footage that spans from the early eighties up until now; Our Vinyl Weighs a Ton charts the hard work Peanut Butter Wolf has put in to share the music he enjoys with the world. Interviews interpolated throughout keep things objective, and the juxtaposition of grainy home video footage with glossy new film situates the style somewhere between The Art Of Rap and American: The Bill Hicks Story. As Wolf’s habit of saving lunch money to buy records blooms into label aspirations, the film splits it’s time evenly between the lesser-known bands and the more established musicians, illuminating every aspect of the label not included on their earlier video releases 101 and In Living The True Gods. With a diverse roster that boasts some of the most respected names in the underground, the film packs plenty of highlights; Jonwayne records skateboard trucks into FL Studio for shakers, Baron Zen’s noisy garage-electro blurs genre borders, Talib Kweli relives hearing Lootpack for the first time, and Common fondly reminisces on J Dilla’s early morning beatmaking sessions. As the narrative unfurls chronologically, Madlib’s musical journey from building beats in a bomb shelter to the month-long shroom-mangled mindstate that birthed Lord Quas comes to life through rare home video footage; and J Dilla’s highly influential sound gets much deserved props through heartfelt interviews with friends. Perhaps fittingly there’s no new interview from DOOM; and although most of the insight into the ever-elusive super villain comes through audio clips from his Red Bull lecture, the section dedicated to Metal Finger’s uniquely intricate lyricism still provides enough unseen footage to keep fans happy. The soundtrack sees new beats from Madlib mingling amongst selections from each of the featured musicians, while the extra features include the half hour mini-doc Extra Special Loving For The People. Despite the inevitable struggles experienced when running a label that places the importance of good music over monetary gain; Stones Throw has enjoyed a recent resurgence in popularity thanks to the steadfast dedication of acts like Homeboy Sandman and J Rocc, and the creative passion of more recent signees such as Dam Funk. Wolf’s willingness to gamble on the creative vision he sees in up-and-coming musicians is commendable, and Our Vinyl Weighs A Ton does an amazing job at capturing this creative hub’s love for music, and the constant behind-the-scenes work it takes to sustain a D.I.Y label amidst an ever-changing economic climate. Buy the CD & DVD bundle from the usual online spots, or rent it from itunes here. Dope online mag and record label U Call That Love have just released their inaugural LP, which provides a fine selection of smooth tunes from Finnish sibling beatmaking duo Jyri and Villejam; who after initially creating music separately, now collaborate on instrumental projects as The Boomjacks. After spending a few years making beats for MC’s to rhyme over, the brothers began to strive for a more musical listening experience; one that would trade rugged breaks and fliters for smooth jazz and easy listening melodies without foregoing their affinity for hard-hitting snares and boom-bap song structure. 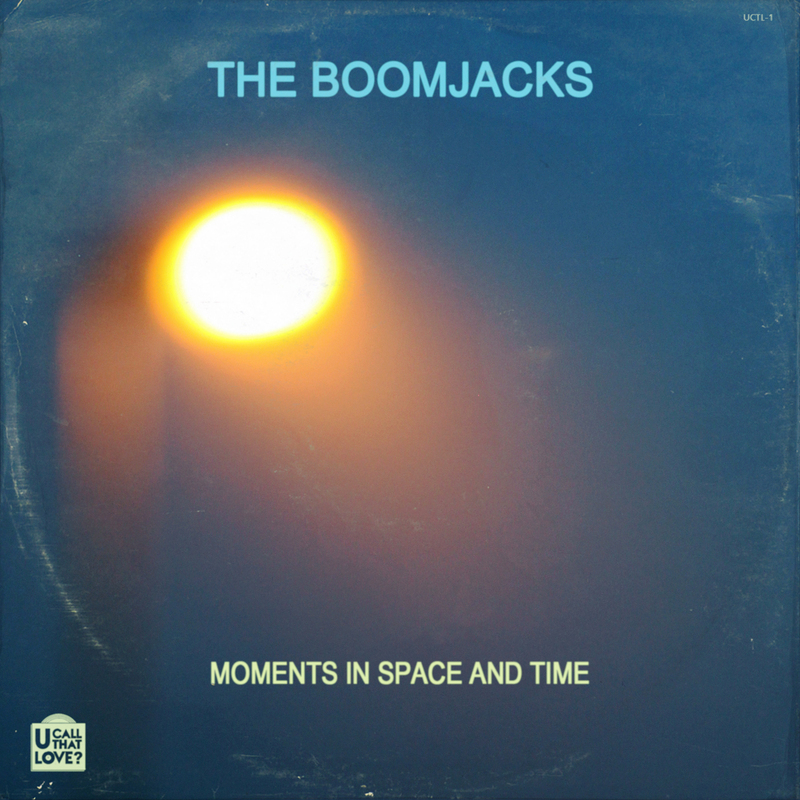 Moments In Space And Time brings together all The Boomjack’s efforts thus far, distilling their creative essence into a concise arrangement over fifteen short tracks that winds through genres. Good Vibes and The Search quickly establish the relaxed methods they employ, but Jazz Peace is where things begin to really get interesting; the tune unfurls around a slow guitar strum, spouting sultry saxes, that lounge over the track as it grows., before Graveyard Shift knocks with a stilited piano loop that wouldn’t sound out of place over antiquated, sepia-toned silent film. Drips lifts the tone, sliding back to that smooth sound they established on the earlier tunes. The clean chops on Hitch work wonders, leading into yet more neat guitar loops that recline on Golden Hour, while the brothers in boom-bap bang out a sturdy beat on The Weight. Their sound begins to vary as Spirits floats through on a cloud of warm saxophones and subtle vocal flourishes that could accommodate Kweli’s beautiful lines on Memories Live as well as Common’s passionate delivery on The 6th Sense. The drum and bass break they transition into towards the song’s peak provides an unexpected twist, but breaks up the album’s flow as the song transitions into The Numbers Game‘s kooky loops. A heavy break anchors the self-explanatory Funky Boom, whilst The Heist serves up head-nod dramatics with that old movie feel, followed by some samba sounds on ADHD. As Moments In Space and Time reaches it’s conclusion, the album’s first single Inner Worlds sets that cymbal swing to good use; with warming synth melodies to compliment the bassline, and balance the clanging perussion; leaving the appropriately titled EndJam to keep your head rocking as a busy jazz break pumps under light guitar licks and the LP draws to a close. After putting in two years of work on this new project, The Boomjacks have assembled a solid beat tape that promises many more good things to come; although more experimentation and wider sample-base could take their music to the next level in the future. You can get the album here, paying whatever price you feel is fair.